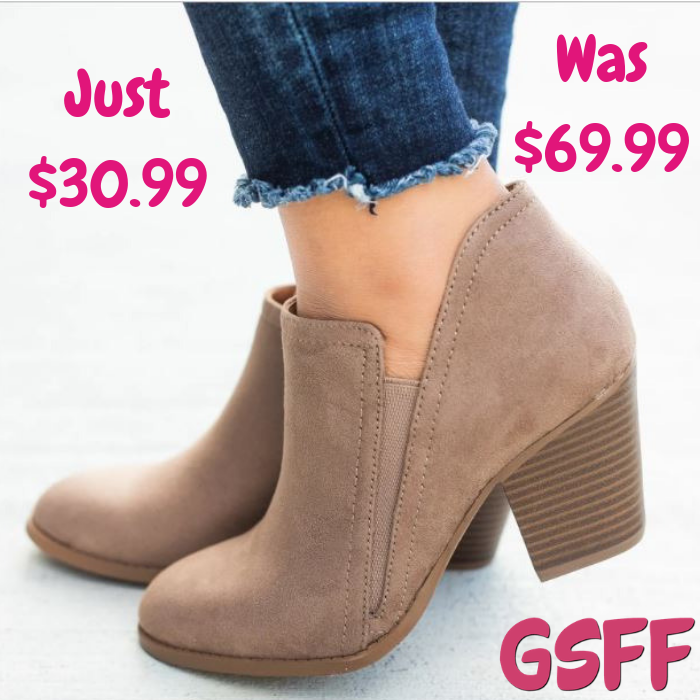 Chelsea Bootie Just $30.99! Down From $70! PLUS FREE Shipping! You are here: Home / Great Deals / Chelsea Bootie Just $30.99! Down From $70! PLUS FREE Shipping! TODAY ONLY! Hurry over to Jane where you can score this Chelsea Bootie for just $30.99 down from $69.99 PLUS FREE shipping! Turn your everyday look into a chic fashionista look with these stacked heel chelsea booties! They are made with faux suede material and features a closed/almond toe, v-cut style with elastic gores, and approx. a 4″ stacked heel. These booties are the new “IT” style that will compliment your entire wardrobe!